Are you using email marketing as part of your photography marketing strategy? If not, you could be missing out on one of the most effective marketing systems we have available to us today. Are you using email marketing as part of your photography marketing strategy? If not, you could be missing out on one of the most effective marketing systems we have available to us today – it’s certainly more effective at generating sales than social media, for example. By the way, if you think email is dead, think again – check out these stats on email marketing. In this episode, I talk with marketing expert Ian Brodie about his ideas on email marketing and what it means for the modern-day photographer. 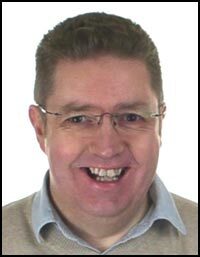 Ian Brodie works with consultants, coaches and other professionals to help them attract and win more clients. He’s known for his expertise in online marketing and was was recently named as one of the “Top 50 Global Thought Leaders in Marketing and Sales” by Top Sales World magazine, and one of the “Top 25 Global Influencers in Sales and Sales and Sales Management” by OpenView Labs. Salesforce.com picked him as one of their “Social Business Dream Team” and Raintoday.com named his website as one of the “Resources of the Decade” for Professional Services Marketing. 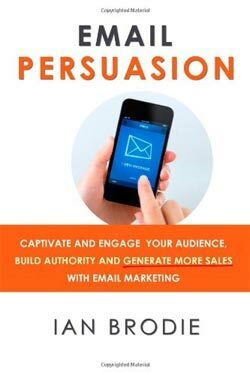 His #1 Amazon bestselling book, Email Persuasion, teaches business owners and professionals how to captivate and engage their audience, build authority and generate more sales with email marketing. How does email marketing compare to other marketing channels, such as social media or blogging? What are the top 3 mistakes photographers make when starting out with email marketing? What is an “ideal customer avatar” and why is it important to have one? What is a “lead magnet” and what styles of lead magnets that seem to work best? Are pretty HTML newsletters always the best email format for photographers to use? Where do emails about special offers fit into the scheme of things? If you don’t already have an email service provider, I recommend ActiveCampaign. See for yourself just how easy it is to get started with email marketing. Check out my interview with Ian for his “Get More Clients” podcast about using images on your website.